Story Collider is a non profit dedicated to telling true, personal stories about science. We do this through live shows around the world, a podcast hosted by Erin Barker that we release weekly, and through community building workshops and keynotes. Science is a deeply human exploration, and yet, in our society, we have separated both scientist and science from our human experience. At The Story Collider we aim to remind everybody that the human experience is intertwined with the story of science. Our live shows feed into our podcast where we release two stories. Inspired by The Moth we aim to present a personal moment in humanity, but our theme is always science. This work is for all the people who have felt comforted by science when the rest of their life was falling apart, for those who’ve felt alienated by science when the rest of their life in tact, for those who wish they had paid more attention in biology class because now they keep reading Wikipedia pages about genetics, for those who feel like their only one who seems stupid in their PhD program, and for those who just like to listen to a good story. Through producing live storytelling shows we are able to give science a human face. These events are both space for sharing and exploration - a place where people from all walks of life can share their experiences with science. Outside of our homestage shows, we team with organizations around the world. In 2018 we produced 5 pro-bono shows, including in West Virginia and Maine in order to hear rural voices, and show with SACNAS (The Society for Advancing Chicano/Hispanics and Native Americans in Science) to bring help bring those voices into the dialogue. In 2018 we produced 18 sponsored shows across the US, as well as in Manchester, UK and Berlin, Germany. We aim to extend both of these programs in 2019. Overall we produced 59 live shows in 2018, and with 5 of our homestage cities producing their first show in this coming year, as well as a rising demand for sponsored and pro-bono shows, we expect to produce even more in 2019. 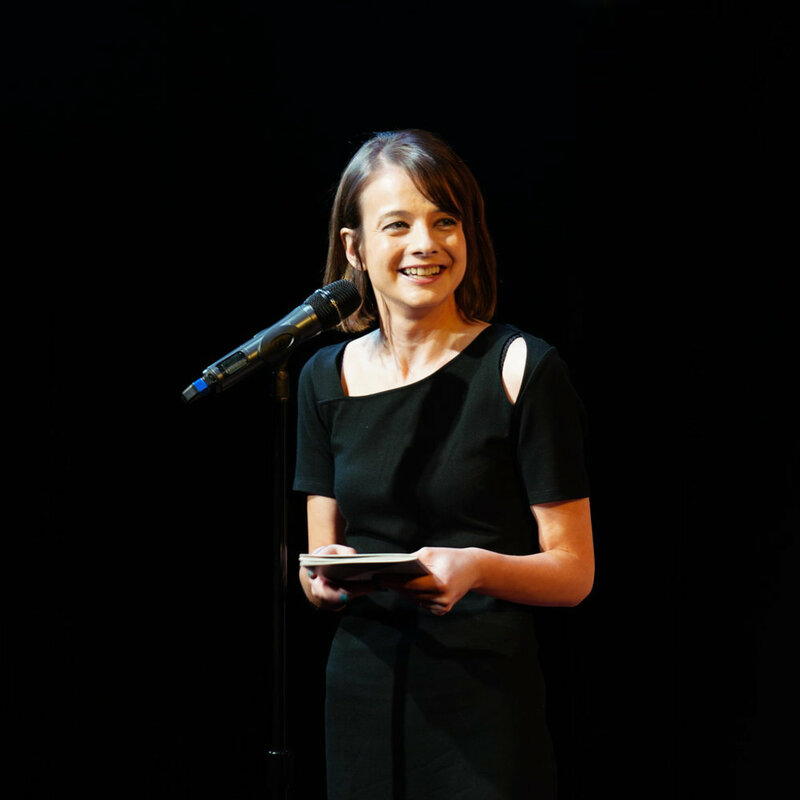 Story Collider is made up of a group of passionate scientists, comedians, writers, storytellers, educators, and activists who are eager to share true, personal stories about science. We have a team of 38 people who work regularly producing shows in 14 homestage cities as well as shows and workshops all over the world. Our producer team include a recipient of the Society of Neuroscience Science Educator Award, an Emmy award winning TV writer, a comedian featured on Comedy Central’s This is Not Happening, a AAAS Science and Technology Fellow, multiple Moth GrandSlam winning storytellers, podcasters, journalists, bloggers, geeks, activists, policy makers, and so many PhDs. Our live show has been written about in The New York Times, The Wall St. Journal, WBUR, and Scientific American. Our podcast has been featured on the best of lists of WIRED, The Guardian, Quartz, Tech Times, Business Insider, Audible, Salon.com, and Popular Science. We release a weekly podcast every Friday hosted by our Artistic Director, Erin Barker. In it she shares with our audience two stories that were told at our live shows that both hit a common theme. We average around 375,000 downloads per 90 days across our full catalog. Each episode averages over 15,000 downloads in the first two weeks. We’ve been downloaded in 189 countries this year, in every US state and Canadian province or territories. We have a 4.5 star rating on iTunes with over 600 reviews. Our host Erin Barker is a storyteller and writer who first started telling stories with The Moth in 2010 and quickly became the first woman to ever win two Moth GrandSlams. She began hosting Story Collider’s original live show in NYC in 2011 and became Artistic Director in 2016. She now curates the Story Collider podcast as well as going around the country to help scientists develop personal stories for our stages. She hosts the podcast with her signature dry warmth while giving us brief insight into the world behind the stories. Macarthur Genius Grant Recepients, Emmy award winners, Kavli Prize winners, bestselling authors, television writers and actors, and a contestant from both America’s Next Top Model and The Bachelor! Download / Subscribe: The show can be listened to directly from the website, as well as subscribed and listened to on most podcast platforms, such as iTunes, or Stitcher. The show is also featured on the NPR1 app. Schedule: The Story Collider releases episodes weekly, on Friday. We have over 12.8K followers on Twitter, 971 followers on Instagram, and over 6,000 followers on Facebook. Our stories have been featured on Studio 360, RadioLab, St. Louis Public Radio, and Springer Nature’s Before the Abstract Podcast. Want to Advertise on our Podcast? We advertise on our podcast during pre-roll, mid-roll, and post-roll. We teach workshops to scientists around the country on how to craft their own personal story. Many of our workshop participants end up performing live on our stage! We see this space as a way to both giving the tools to scientists to become more effective communicators, and a way of bonding together the scientific community in a dialogue about storytelling. In 2018 we ran 9 workshops, and in 2019 we plan on running even more. Many of those storytellers have found their way onto our stage, and some have even ended up on our podcast. In our workshops we’re proud to work with elite institutions like Yale, Cornell, and Cambridge University, powerhouse state schools, and small community colleges alike. We’ve also been a part of conferences with The American Geophysical Union, AAAS, Harvard ComSciCon, the Ecological Society of America, and American Mathematical Society’s annual meeting.